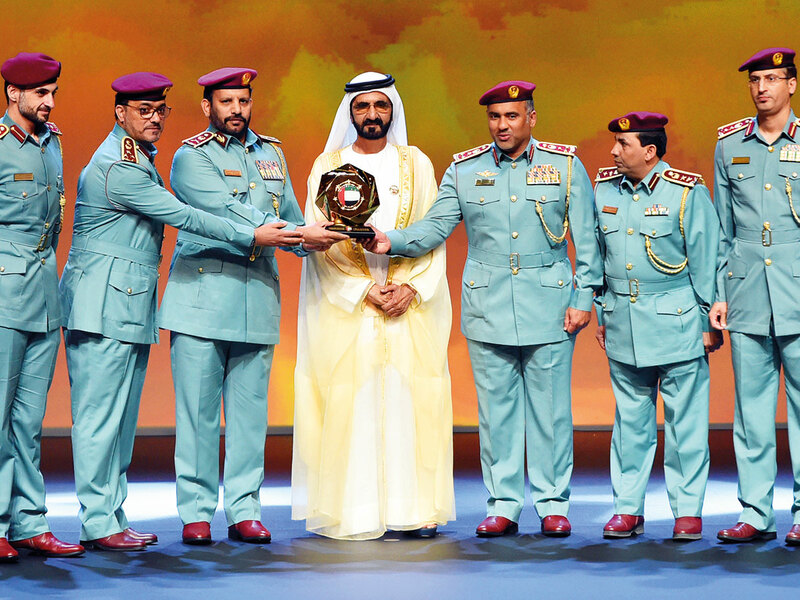 Abu Dhabi: His Highness Shaikh Mohammad Bin Rashid Al Maktoum, Vice-President and Prime Minister of the UAE and Ruler of Dubai, honoured winners of the Mohammad Bin Rashid Government Excellence Award in Abu Dhabi on Tuesday. 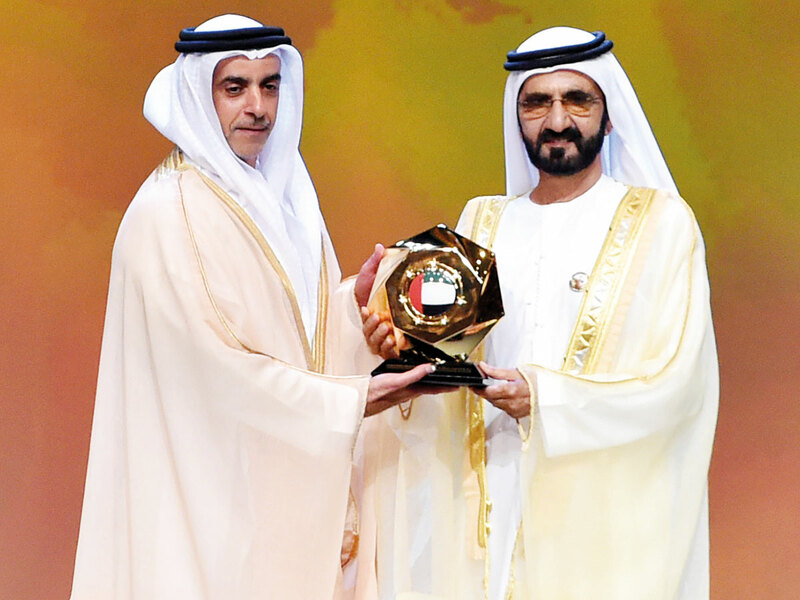 Among a series of government and individual categories awards, the first one was conferred on the Minister of Foreign Affairs and International Cooperation for its great endeavours in making the UAE passport No 1 in the world where Emiratis can travel visa-free to 167 countries of the world. 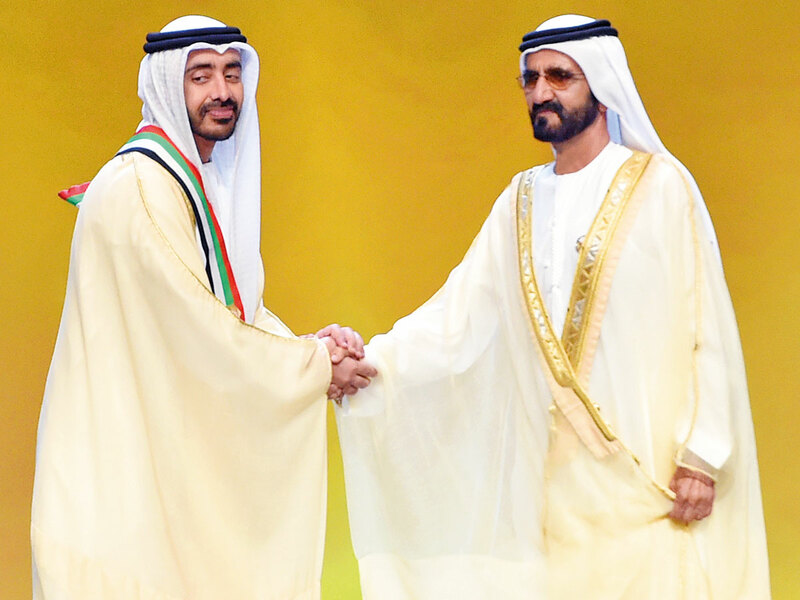 Shaikh Abdullah Bin Zayed Al Nahyan, Minister of Foreign Affairs and International Cooperation, received the award on behalf of his ministry from Shaikh Mohammad. During a special ceremony organised by the UAE government at Emirates Palace hotel of the capital a large number of citizens gathered, while some awardees came along with their children to pass the message of hard work and achieving excellence to their children. Shaikh Mohammad said, “During the past 10 years, we have made great achievements ... However, we want the UAE government to be the best in the world. We also want each ministry and government body to be the best in the world in the upcoming phase of government excellence … This is the criterion to measure the performance of government entities in the country,” Shaikh Mohammad said during the awards ceremony. Six UAE nationals received the UAE Pride Medal who have significantly contributed to the society in various fields or provided great services to humanity; three received prime Minister’s Medal and two students were honoured for best student scholarship in Higher Education category. Speaking to Gulf News after the award ceremony, Ruqayya Al Shehi, 66 years old, who received the award for Best Nurse in the UAE, said, “I am very happy to receive this award from Shaikh Mohammad Bin Rashid Al Maktoum today. He worked as head of the internal and critical sections of Al Qasimi Hospital in Sharjah. 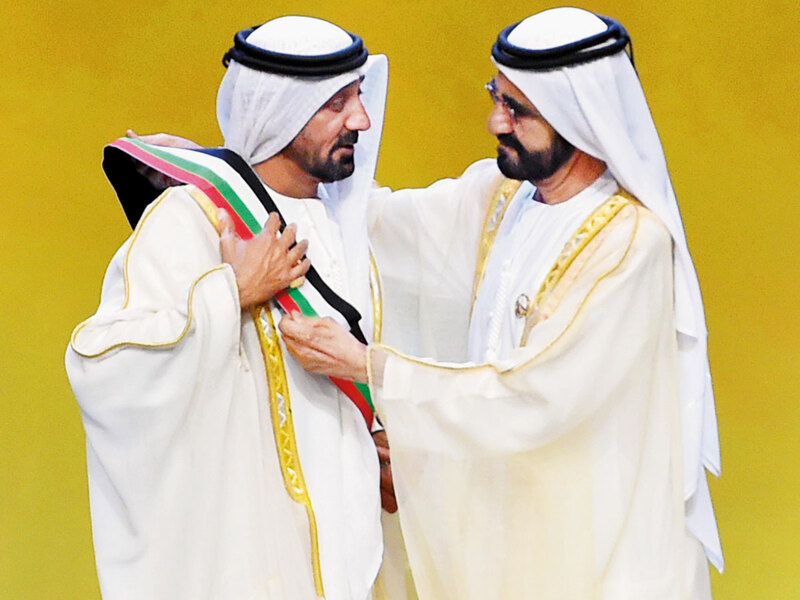 “I feel too honoured to explain to get this honour from Shaikh Mohammad. 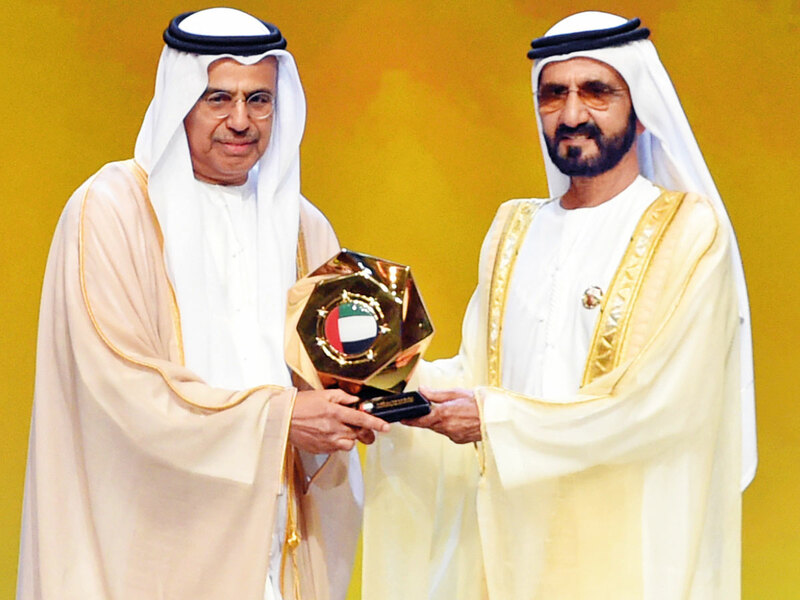 This award will set an example for others to contribute their best in any profession they are,” Al Shehhi said. Shaikh Mohammad said the UAE has made great strides in the drive of government excellence during the past 10 years, and making the UAE government the best one in the world is the benchmark of excellence in the upcoming period. Shaikh Mohammad referred to the great attention and close follow-up of His Highness Shaikh Mohammad Bin Zayed Al Nahyan, Crown Prince of Abu Dhabi and Deputy Supreme Commander of the UAE Armed Forces, who has been acting as a catalyst to take forward the drive of excellence. Shaikh Mohammad Bin Zayed also encouraged the government work team and Emiratis who succeeded in turning their experience into an inspirational role model. “The winners, who are honoured for their outstanding achievements, have set an example of teamwork. Each team member has the potential and passion for serving the nation, and we want to unleash their full potential and ignite their passion, so that our country reaches the highest standards of excellence in performance,” Shaikh Mohammad said. Shaikh Mohammad congratulated the winners and urged them to intensify efforts to scale up their performance and efficiency, and continue to build on what have been achieved. “I would say that hard work always pays, I have been working for 22 years in Ras Al Khaimah and this is best moment for me in my life,” Dr Hamoud said. The ceremony marked the 10th anniversary of the Shaikh Khalifa Government Excellence Programme, which was launched to enable the UAE public sector to excel in its systems, performance, services and outcomes through the application of an international excellence model and various and ongoing development initiatives enhancing the culture of innovation, loyalty and excellence among all public employees. The Mohammad Bin Rashid Government Excellence Award consists of 25 award categories that take into account the diversity in the work nature of federal entities and achievements of the Shaikh Khalifa Government Excellence Programme’s objectives and leadership in all fields. Since its inception, the total nominations for the award have now reached 2,230. The four previous editions of the award saw 157 entities and individuals honoured.